If you’re going to spend an afternoon relaxing over afternoon tea, why not make it extra special and choose our new luxury afternoon tea. 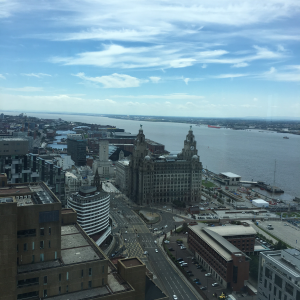 Sit back and take in the stunning Liverpool skyline as you enjoy a glass of Nyetimber Rosé Sparkling Wine. After a starter of smoked mackerel pâté, with horseradish and cucumber, enjoy a selection of delicious finger sandwiches, before savouring over a selection of our homemade pastries, scones and cakes. Dry January? What to drink at Panoramic34 when you’re not drinking.